Claude was born in Paris in 1870, just in time for the wide variety of electrical inventions and applications to make their appearances in the commercial and scientific world. 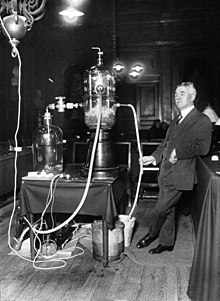 A genius scholar, Claude invented a technique for using acetylene as a lamp fuel to be stored in a safer manner (dissolved in acetone) and developed a process for the liquefaction (changing from a gas to a liquid) of air. The process he developed enabled other gases to be liquified, a process we use in many scientific and commercial applications today. His liquefaction process alone made him a successful businessman. Claude expanded on the work of Daniel McFarlan Moore, an American electrical engineer that had developed a nitrogen based electrical tube lamp. (Prior to Moore, a German named Johann Heinrich Geissler had invented the Geissler Tube, a crude sort of gas tube lamp that showed the possibility of the idea.) Using the Neon gas that was a byproduct of his air liquifying business, Claude invented the neon tube lamp that we see everywhere today. The color of pure neon lighting is a shade of red, but the exact gas content can be altered to create many different colors of lights. Claude perfected the technique of using larger and longer tubes passing electricity through the gasses in the tubes to create a much more usable light than previous “Moore lamps.” Claude patented his invention in 1910, including the process by which he had perfected the purification of the inert gasses used in the lamps as well as the creation of perfectly sealed glass tubes. 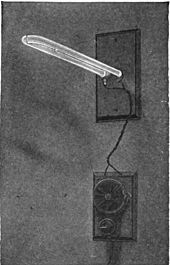 The Moore lamp type of gas filled tube lamp continuously lost gases which had to be replenished, resulting in a sputtering, inconsistent light. Claude’s lights went on and stayed on, bright and colorful. Unfortunately, Georges Claude did not have the moral aptitude to match his inventive genius, and during the German occupation of France during World War II Claude was a willing collaborator, a faux pas not to be overlooked by his countrymen when France was liberated. Arrested, tried and convicted of collaboration, Claude spent 5 years in prison for his crime against France. (He had been accused of helping develop the V-1 cruise missile but was exonerated.) Claude was stripped of his membership in the French Academy of Sciences. Still, Claude had made his fortune and though he lost much of it while in prison, he had enough to survive on, having lived until 1960 when he died at the age of 89. The work of Georges Claude also gave rise to another important advance in electric lighting, that of the fluorescent lamp. In 1926, Frenchman Jacques Risler used Claude’s neon lamp in conjunction with a glass tube lined with a phosphorescent coating which produced fluorescent lighting more or less as we know it. The gas used in such lights is mercury vapor, a substance inventors had been trying to use in electric lights for the preceding few decades, including Edison and Tesla. American electrical engineer Peter Cooper Hewitt patented the mercury vapor lamp in 1901, but the mercury vapor lamp did not see widespread use until the 1930s. Fluorescent lighting became commercially important in the 1930’s when General Electric Ltd. (a British company) created a useful type of fluorescent light for industrial lighting, and the General Electric Company (at the time of Cleveland, Ohio) in turn produced and sold a similar product in the United States. Georges Claude may have ended his life in disgrace, but his inventions have certainly made life better for millions of people. Chances are pretty good that you see a neon light every time you leave your house! Questions for Students (and others): Did you ever hear of Georges Claude? Do you personally own any neon lighting signs in your own house? Should French collaborators have been prosecuted and jailed after World War II? Have you ever seen a car or truck with the neon lights underneath that make the vehicle appear to be floating on light? 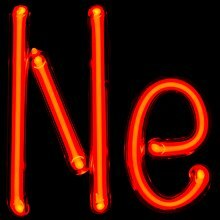 Gas discharge tube containing neon; “Ne” is the chemical symbol for neon. Claude, Georges. Liquid air, oxygen, nitrogen. Amazon Digital Services, 2014. Ribbat, Christoph. Flickering Light: A History of Neon. Reaktion Books, 2013.